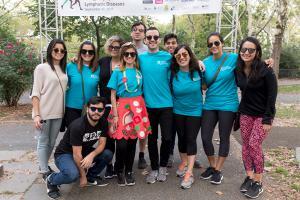 NEW YORK, NY, USA, October 24, 2018 /EINPresswire.com/ — LE&RN and its New York State Chapter will host the ninth annual New York Run/Walk to Fight Lymphedema & Lymphatic Diseases on Saturday, November 10, in beautiful Prospect Park, Brooklyn, at the Grecian Shelter (The Peristyle.) While this is the ninth annual event, this is the first 5K Run/Walk in New York in support of LE&RN. A shorter one-mile loop around the lake will also be available. 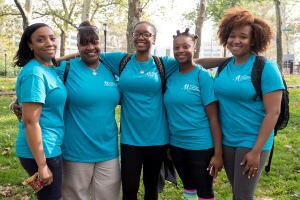 This year’s New York Run/Walk will be a celebration of the recent passage of a historic lymphedema education bill in New York State – the first of its kind in the nation. In recognition of this important advocacy milestone, LE&RN will honor the work and contributions of legislative aides Gus Ipsen (office of NYS Assemblymember Linda B. Rosenthal) and Meg Brown (office of NYS Senator Martin Golden), who were instrumental in navigating the bill through the legislature in Albany. 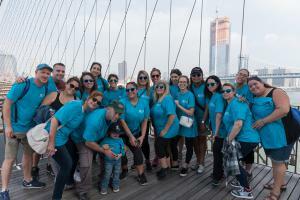 Sign up to run or walk in support of the 10 million Americans and 250 million worldwide who are battling this lymphedemic™ at www.LymphWalk.org. Active.com runners can register here. •	T-shirts will be provided, on a first come, first served basis. LE&RN thanks National Series sponsors Jobst (Premier National Sponsor), Tactile Medical (Presenting Sponsor), BioCompression Systems, Juzo, ImpediMed/L-Dex, Eiger BioPharmaceuticals, Sigvaris, MediUSA, Herantis Phama, L&R USA Inc., LympheDIVAS, and Lympha Press. Local sponsors include Mount Sinai, ShechterCare, and Pandere Shoes. Founded in 1998, the Lymphatic Education & Research Network (formerly LRF) is a 501(c)(3) not-for-profit organization whose mission is to fight lymphatic disease and lymphedema through education, research and advocacy. LE&RN provides valuable educational resources for the millions of people who suffer from lymphedema and lymphatic disease. LE&RN fosters and supports research that can deepen the medical community's understanding of the lymphatic system. For more information about lymphatic diseases or the Lymphatic Education & Research Network, please visit www.LymphaticNetwork.org or call (516) 625-9675. Previous Previous post: Is Arthritis Covered Under Workers’ Compensation?